My offers are up at sterekcampaign for their Wolf Pack Charity Project. I'm offering one fannish Ship in a Bottle, winning bidder's choice of ship (limit to two characters due to size constraints), and one custom crocheted item (size/level of detail goes up with bid amount; bid total can be split between multiple items). I've already got someone on the minimum bid for both items, but I would love it if either or both of them (preferably both) went for more than that. I am equipped to help out with shipping package transportation at this time, if that makes the option more viable for you. The auction closes on Monday, December 9th at 10:00pm EST. And now it is time for sleep, as I worked nearly thirteen hours today and will likely work more than eight tomorrow. I think I've managed to the trick of not hating things from being associated with trying times, but the "cookie staycation" my workplace is hosting is really going to put that to the test. Because apparently nothing can stop my quest to raise money for disaster relief. In addition to rare-patterned Vivillon, infectable with the Pokerus, and my flying pig amigurumi pattern, with unlockable goals, I am now offering a signed paperback copy of jimhines's book Libriomancer. Right now all it's got is his signature, but if someone "buys" it in the next forty-eight hours-ish, I can get it more specifically inscribed. I have donated $40 USD at fandomaid's Buy It Now campaign to support the Philippines in the wake of Typhoon Haiyan/Yolanda, and am officially cutting myself off. It wouldn't be financially wise for me to continue, more's the pity. Oh! Also cool! I made the spotlight list with my Vivillon offer :D You should definitely check out some of the other stuff on that list, too. Not in a hinting-for-a-gift-for-me way, in a you-should-actually-take-a-look way, if only to see some of the interesting things people are offering (and maybe get ideas yourself!). The list includes hand-rolled, flavored chocolate truffles. Excuse me as I drool. Edit: What the hell, why not. Now offering my flying pig crochet pattern in exchange for donations, with several "upgrades" available. Edit 2: OMG, check these out. Jim Hines talked about the first one over here. *whimpers quietly* Want. fandomaid is running a Buy It Now fundraiser to support relief efforts for Typhoon Haiyan/Yolanda. You can find the fundraiser here. I now have disposable income and there are so many things I want to "buy". (The 6500 word original story for a minimum of $3 is particularly making me boggle, though the "het only" requirement is making me sadface pretty proportionately.) I'm currently crossing my fingers that some kind soul will see fit to offer an original music composition - hopefully with optional lyrics - because for years now I've been craving a legit 'Song of the Lioness' that I can actually hum/sing/listen to. 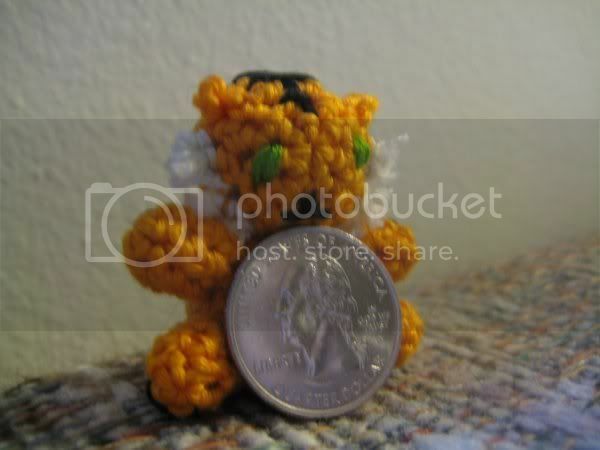 Trying to track down the total I've raised for charity for the "volunteering" section on my resume/portfolio/whatever. I think I've gotten the gist of it, but I could certainly be wrong about any of the numbers. Regardless, I'm fairly pleased with my success. Over 900 people in Mindanao, Philippines, have died in the floods that Typhoon Sendong (local name)/Washi (international name) just days before Christmas. Hundreds more are missing. Please help us in putting together donations for these people who desperately need your help. Well, you know me; I'm always eager to help out a good cause. I know money might be a little tight since a number of big holidays just ended, but please do consider taking a look around. Or maybe offer something yourself! If nothing else, please spread the word. The community itself is in an S2 stile, comments likewise, so LJ's new default comment form shouldn't be a problem. My customary offer is up here. Just a small picdump this time. I would've included pictures of Dragon, since it's done, but I ended up not liking any of them :/ He'll be in the next one with Dr. Whooves and PegaCid (and hopefully also wedding cranes). 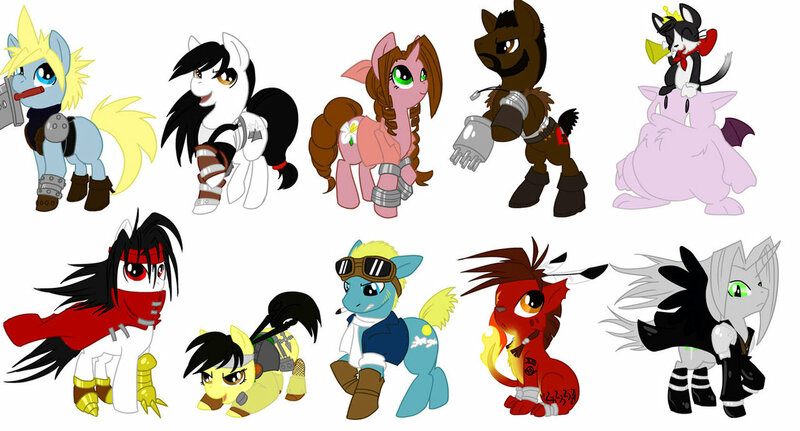 Today I got to work on FFVIIVincent!Pony. Or perhaps I should say back to work, as his basic body has been done since before AI 9_9a Anyway, I've been using this pic as a reference, and he now has hair and some very fancy horseshoes going for him. The gold isn't quite the right color, but I figure it's probably close enough. I plan to tackle his cloak tomorrow, maybe get his eyes and cutie mark on Tuesday? We'll see how things go. My current goal is to have him done by this weekend, so he can go to his new home (and hopefully I'll be able to start work on one of his buddies). 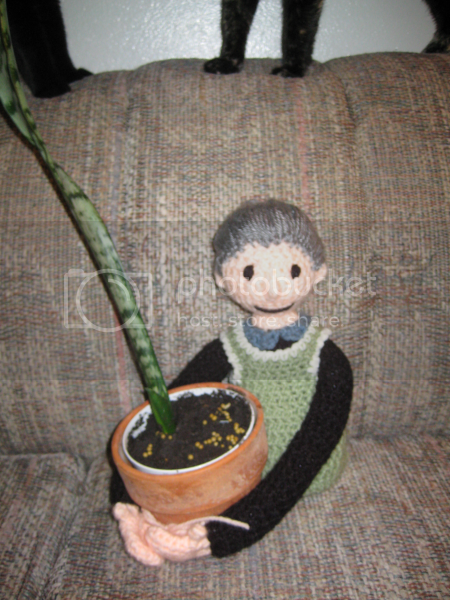 I also wanted to say that I've been thoroughly encouraged to put together some good crochet works and take them by our local ritzy 3D art shop, see if they wouldn't be interested in selling them :) At first I was thinking things along the lines of Tiny Tiger, but my parents suggested I go with Woman With Plant(s) and the like instead. So now I need to think of other paintings to imitate with crochet. Any suggestions, lovely f'list/circle? Final thing! Just a quick reminder that I've got a charity offer up at fandomaid to benefit Somalia, which is suffering from a terrible drought, famine, and cholera outbreak. Please consider bidding and/or offering to show your support, or at least spread the word. fandomaid has a fandom auction set up for relief in Somalia, which is currently suffering a horrible drought, famine, and a cholera outbreak. My offer is up here. Please spread the word and consider offering and/or bidding yourself. Still working on cleaning my room. I've made considerable progress since when I started, but there's still a ways to go. I also found the Zatar bread recipe I thought I'd lost forever ago. I'll be sticking it up here, in case A) I lose the paper it's written on again, and/or B) someone else is interested in making it. I'd best get to distracting myself, now; otherwise, I'll just end up staring at my computer screen, waiting and hoping for my inbox to become un-empty.